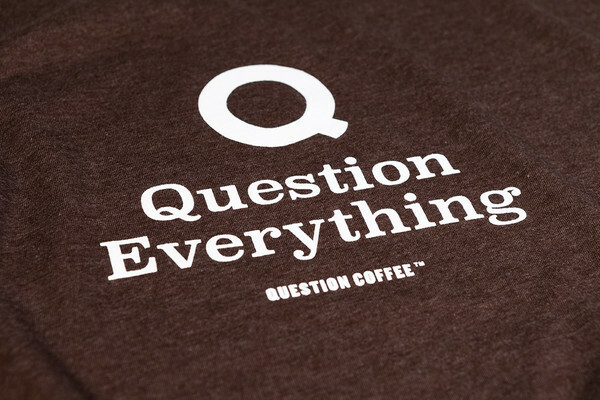 Challenge the status quo with your very own Question Coffee™ T-Shirt. 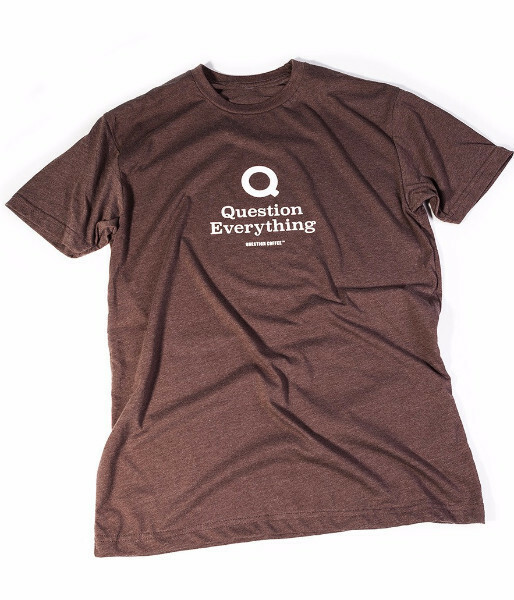 We ship T-Shirt orders every Monday. Shirt composition is 60% cotton, 40% polyester.